A few major things happened to me in 2012, the most major being, I got married. For those who know me well, you know this was no small feat for me. I was much more of an anxious bride than the blushing type that everyone generally refers to, but as nervous as I was to make the biggest commitment of my life, so many wonderful things have happened as a result. One of those wonderful things was gaining a lifelong travel companion. For our honeymoon we decided to go to Spain after a friend told us that fall is the best time to go, and he was right; the weather was perfect and the cities weren't overrun with other tourists, but all of the shops were still open because no one was on holiday. 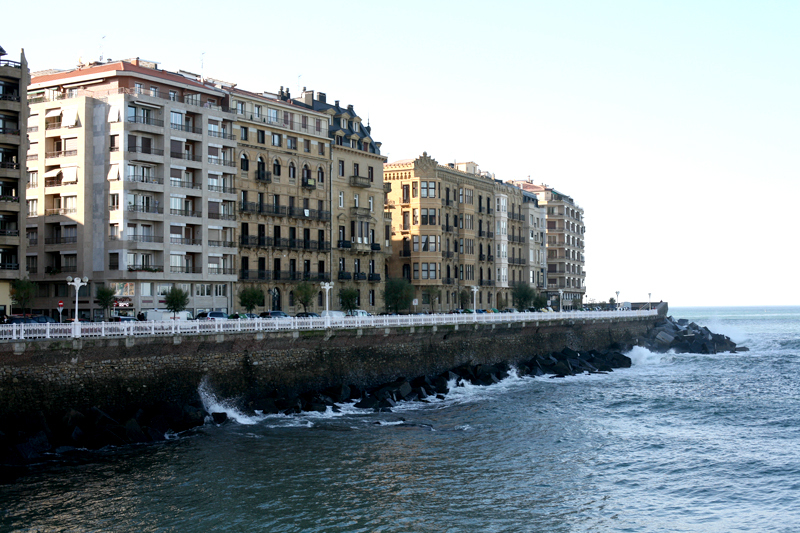 Our first stop was San Sebastian, located in Basque country near the border of France. 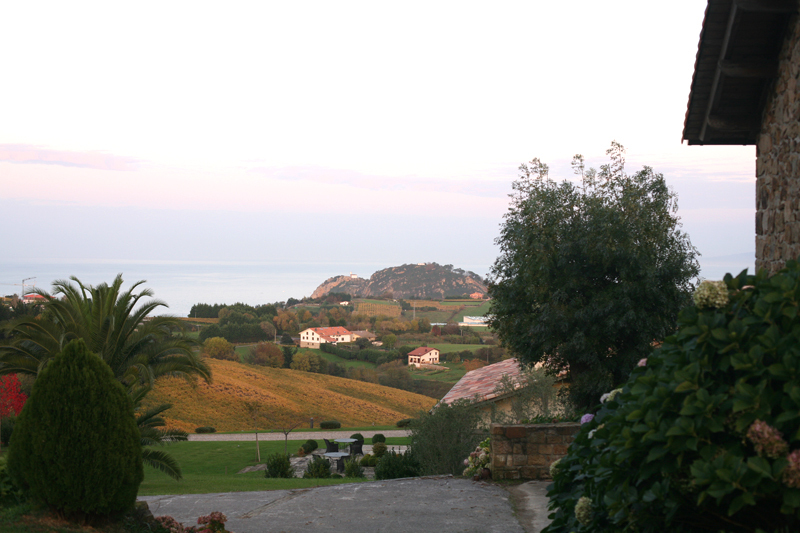 We actually stayed about 45 minutes out of town, up on a hill with the sheep, the cows, and the incredible views of rolling vineyards leading down to the ocean. 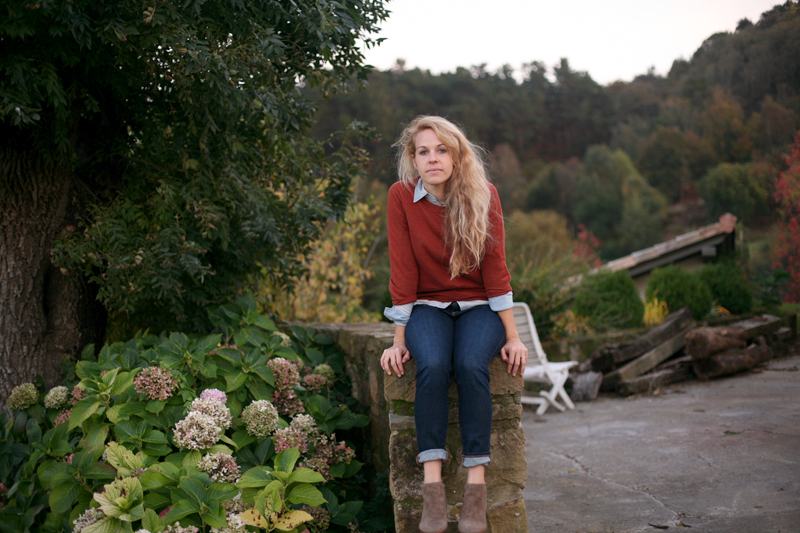 We stayed at a little Inn called Hotel Iturregi, which Kyle stumbled upon online. I was busy picking out wedding flowers and designing invitations for the actual wedding so I let him do all of the honeymoon planning on his own. Sometimes I'm still surprised at how well he knows me. He kept telling me, "you're going to love this place," and he was right. I honestly can't think of better place to spend a honeymoon. The decor was beautiful and quaint. It didn't have that mass-produced, flat feeling that you find in a lot of hotels. Instead I felt as if I was staying in a friend's home. Above is a photo I took of the down stairs sitting room. I loved the zigzag detail in the molding. 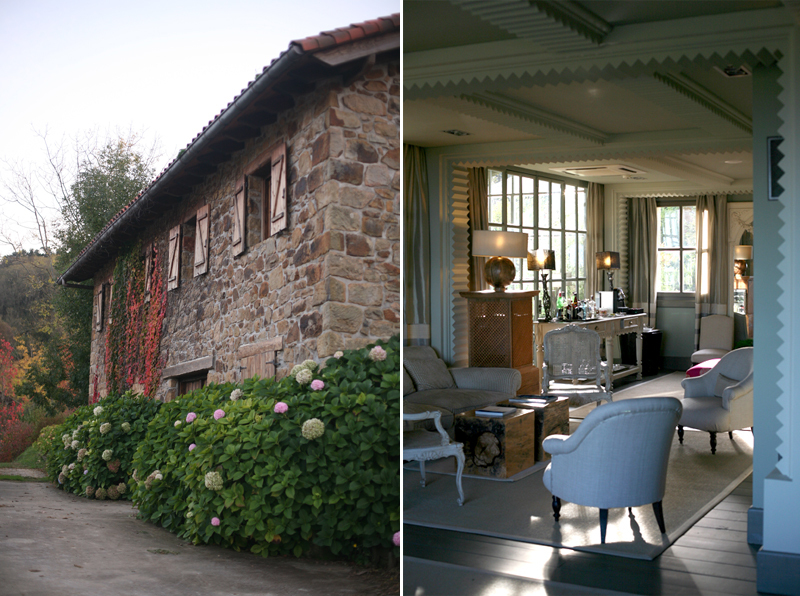 We spent a lot of time lounging and re-cooperating from the wedding madness We stuck close to our hotel and explored the neighboring farms and vineyards. 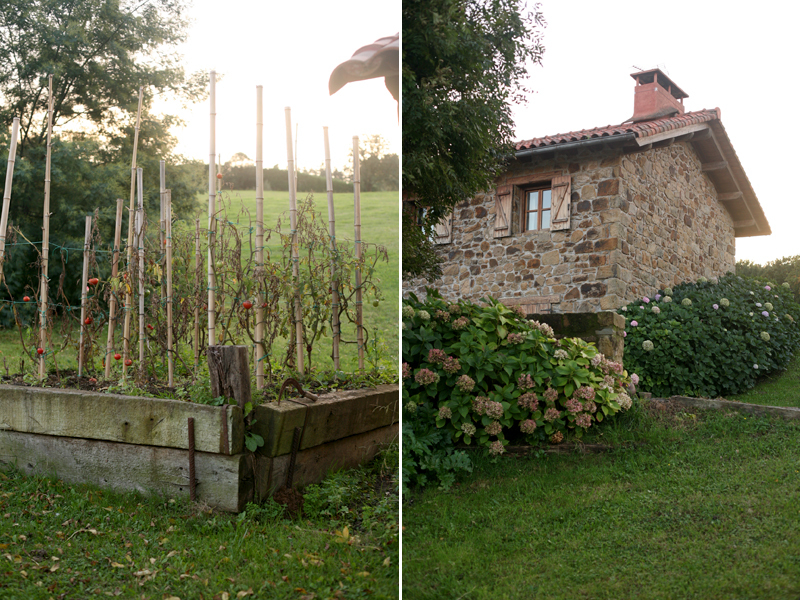 Our hotel had it's own little vegetable garden (which they used for their meals) and beautiful swimming pool (too cold to swim in) and I became a little obsessed with the owner's home behind our inn - a cobblestone cottage surrounded by blooming hydrangea. And those shutters....so perfect. On our last day in Basque Country we finally ventured to downtown San Sebastian. The city was full of classic, French style buildings from the Belle Époque sitting right on the ocean shore. Such a contrast to what lines our coasts in California. Not necessarily better, just different, and that's one of the reasons I love to travel so much. From San Sebastian we flew to Barcelona. 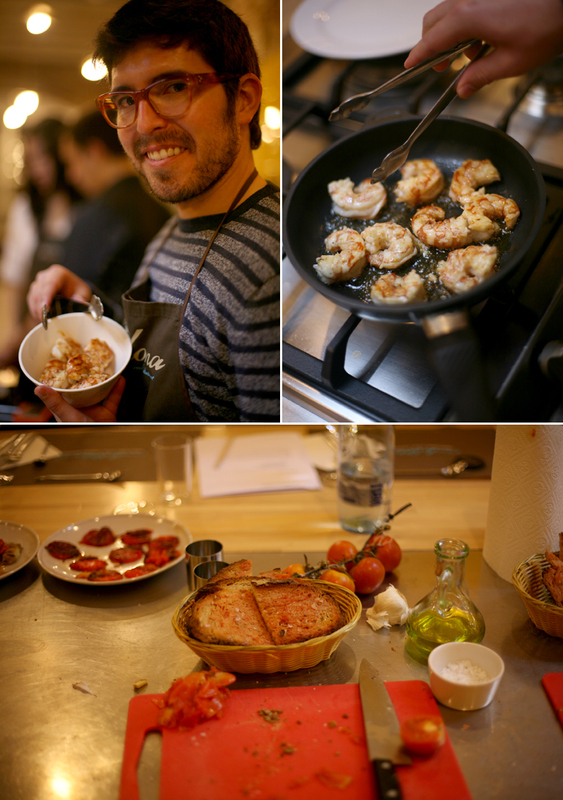 We took a cooking class on our first full day there and it was probably one of my favorite things we did while in Spain. It's a really fun and easy way to experience the culture and meet other travelers. Our class of 10 people was full of people from New York, Paris, China, Great Britain... Our instructor was so adorable and with a very thick Catalan accent she taught us how to cook the best meal we ate in Spain, which means a lot because both San Sebastian and Barcelona are known for their good eats. Since the weather was so beautiful and it actually felt like fall, which I love but don't always get to experience in Southern California, we went on a bike tour to check out the architecture and learn more about the city. We covered a lot of ground and biked from the Gothic quarter, to the Mediterranean sea shore, to La Sagrada Familia, Gaudí's famous cathedral. My two favorite things about Barcelona were the art museums (the Picasso Museum was our favorite) and the massive amounts of potted plants and vegetation growing on nearly every balcony. It really got my inner gardener stirring and this was proof that living in a big city with limited space is not a good excuse to not plant something. 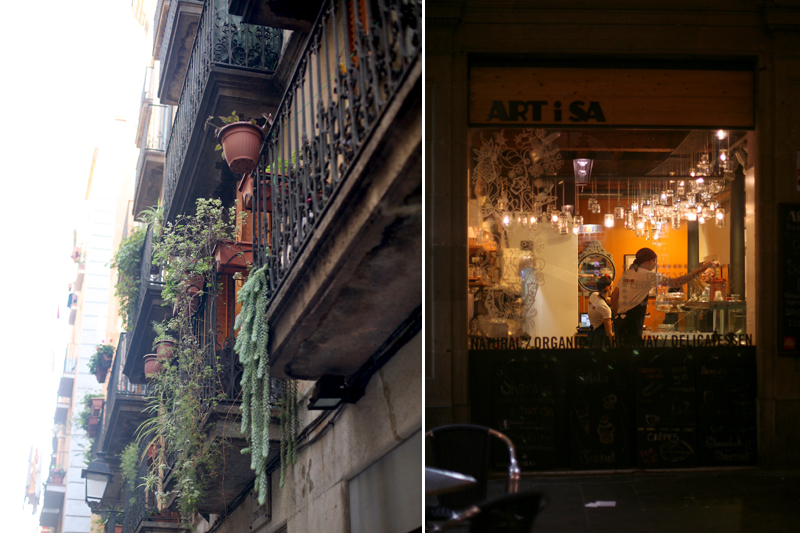 Barcelona is an amazing city to just walk and window shop or stop in a cozy cafe. Every little alley of the Gothic quarter had so much charm it was hard to not want to stop in every shop, or eat at every restaurant. In a nutshell, Spain is full of great sites, interesting architecture, unique museums, fantastic food, such nice people and if you haven't tried horchata de chufas...you haven't lived. My only regret is that we didn't squeeze in Morocco, but then again...there's always next time. iCiao! It looks amazing Brit and your photo skills are getting reeeeally good! Great pics! How did I miss this post until now?! So gorgeous! I need to go! Loved coming upon this as we are planning our Spain honeymoon now. I love the cooking class idea. Do you remember where you went for that?? Last year me and my wife visit Tossa de Mar city of Spain that is very beautiful destination for romance and beaches. We Book Beach front villa their in reasonable price which provide us great facilities like food, transport and living. Their staff is very cooperative and take care of us every time. We both really enjoy their during night parties near beach and eating delicious food in many restaurants. 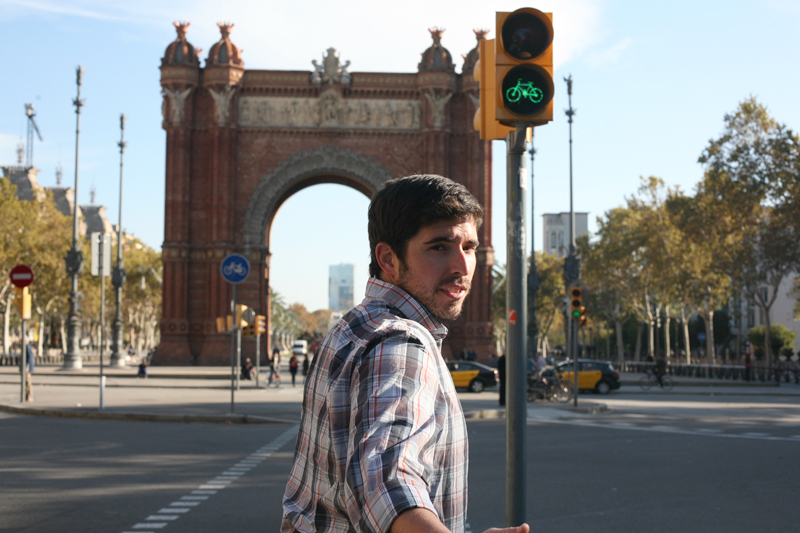 That was my most memorable trip of my life.Thanks to you for tell me more about Spain. I got married last year and went to Ireland for the honeymoon. It was a wonderful time. Choosing Ireland as a destination was Decided by both me and by my husband. It has many places to visit. Some of them are really very romantic and some are very adventurous. We enjoyed a lot. It was trip of fourteen days and those were best days for both of us. Your pics are looking nice and after reading your blog i am eager to visit Spain to live those moments again.